Friday Favorites - "The Little Old Lady Who Was Not Afraid of Anything"
I know, I know--it's not Friday. But I had to wait to post this until Halloween and now Halloween is minutes from over and I almost missed it. I don't even have little children to get into costumes and out into the neighborhood to use as an excuse for my lateness. 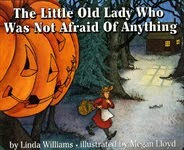 My pick this week is Linda Williams' The Little Old Lady Who Was Not Afraid Of Anything. My mom first found this book for my niece when she was very little. She loved it so much that a copy soon made it to my house. It is simply charming. At two years old, this was my son's favorite book. We made it interactive. The little old lady, out on a walk is confronted by a series of clothing items. Each makes a "sound" (although shake, shake is not really a sound). When we started reading the book, I did the "sounds" myself but soon my son was joining in the fun and I would let him read the sound words. By the time he was three, he could "read' this book himself. Although beloved by all three of my children, it was my oldest who truly loved this book. Tonight my fourteen-year-old and I read it together! Beyond the fun factor, the book has a wonder message about being brave and facing fears. It teaches children that sometimes things aren't as scary as we might think they are. My copy is falling apart. But it will continue to be a part of Halloween for years to come. I think I've mentioned this before--my parents are smart people. Both of them are always looking to expand their knowledge and are just as likely to pick up a work of non-fiction as a work of fiction. "Hearts West" is my mom's most recent read and she's been kind enough to send her review of this book. If you need a change of pace from your regular reading, and if you are interested in learning just how strong women can be, I recommend HEARTS WEST--TRUE STORIES OF MAIL-ORDER BRIDES ON THE FRONTIER by Chris Enss (The Globe Pequot Press). The lure of gold in California and the lumber industry in Oregon and Washington had lured many men to the West. This, plus the Civil War casualties, left many women on the Eastern coast faced with the possibility of becoming spinsters. So when the papers became filled with ads such as "Wanted: A girl who will love, honest, true and not sour; a nice little cooing dove, and willing to work in flour" appeared in the papers, many young women responded. And many of the women also placed ads looking for a man. As the non-fiction book will show, not all of the matches were successful but many women left security to go to California and the Pacific area to help bring civility to the region. Men realized how much they need the woman's touch to provide gentility. The journey was not an easy one: either they traveled by stage across the country or they went by boat around the tip of South America. This was not for the "faint of heart:." But the West was settled and women provided the finishing touch. Some women landed in pleasant surroundings but often those who ended in Montana found life almost unbearably difficult. It is a very short book--just over 100 pages--but it will give you a respect for pioneer women and makes us realize how far we have come. “Hearts West” provides a good mix of humor, disaster, sweetness, and sadness to give an overall picture of what our American ancestors went through, all for the sake of love and survival. And Laurie, of Laurie's Wild West says: "I was hoping for a more in-depth history with a cohesive narrative. I wanted something with a little more substance. But if you're looking for a pleasant read that's a good introduction to how and why women would do such an insane thing as to agree to marry someone sight unseen and 3000 miles away from home, this is a good book to start with." Thanks, Mom! I know this one is coming home with me when I visit this weekend! Free-lance writer April Newman has just found out that she is now five years cancer free. She should be celebrating. But April could not feel less like celebrating. She has yet to come to terms with her body, her marriage seems to be slipping away, she's dealing with a teen-aged daughter and the fabulous home her husband is building for them feels all wrong to April. Then, quite by chance, April finds that the last beach bungalow in Redondo Beach is for sale and becomes obsessed with it. "Just that everyone is searching for peace, or seeing to pass it along, sometimes both at the same time, or both on the same day. No one ever gets to stop and be done with it. We're all in the mix, all the time." As the mother of a teen-aged daughter, I really related to the point April and Jackie were at in their relationship. "In the early years of parenting, you'll give anything for twenty minutes free and clear of your kids. You pray for nighttime, when the noise will stop, the hunger will stop, the accidents will stop, the incessant questions about the moon, the sky, the ocean, the cat next door, the cow on TV, the telephone and the toy in the bottom of the cereal box -- will stop. But in the teen years, you'll give anything for twenty minutes in the same room with your kids. You'll pay a ransom for a conversation, a bribe for just a little time." There was much that spoke to me in this book. I found the characters to be very real, as well as the relationship between April and Rick (her husband) . I was very happy with the way this book ended and I would definitely recommend it. Thanks to Barry and Nicole at Inkwater Press, I have an autographed copy of "Only Milo" to give away. This would make a great Christmas gift! 6. I will announce the winner on Friday, November 6th. Please join me in welcoming Barry Smith today. Barry is the author of "Only Milo." He is a professor at Emporia State University in Kansas and has also been on staff at New Mexico State University, Drake University, and at the Wharton School, University of Pennsylvania, where he received his Ph.D. I was surprised to learn from the web site for "Only Milo" that Barry is a professor of finance, not English as I had assumed. He was born and raised in a farm in Iowa. He has two sons and two grandchildren. "Only Milo" is his first novel. This is the most unique book I've read in a really long time. Where did you get the idea to write the book in this style? The writing style is not something I have ever used or even tried before. I also know of no other book written in a similar style. All I can say is that I went with Milo’s narrative voice, and this is where I was carried. You can see the voice develop throughout the book as Milo’s situation changed. Otherwise, I simply have to say the creative process took over. It felt very comfortable to me right from the beginning, so I let it happen even though I knew the structure was unusual. I can still remember writing the first two-line chapter and thinking, “What are you doing?? ?” But then I decided they were two really good lines and let it continue to flow without trying to put any limitations on the structure of the work. Milo is such an interesting character. I couldn't decide if I felt sorry for him or horrified by him. What was your inspiration for him? I don’t have any particular person who inspired him, but I do know this novel started flowing shortly after my kids brought copies of the first two seasons of Dexter for our Thanksgiving family gathering. In retrospect, I think that might have been a factor in how this novel evolved, but I really don’t know for sure. I really like the fact that he has accomplished practically nothing in his life—to the outside world, at least—but at the age of 62 he finally grabs life by the throat and starts to take control of his own destiny. Of course, his method of doing so is a bit… unconventional. "Only Milo" is really a commentary on the literary industry. Did you write from personal experience, research or is it strictly your own opinions? Mainly my own opinions. In the academic world, I did have research data “stolen” by two of my Ph.D. program professors and received no credit when it was published. But most of Milo’s views were created during the writing process. It should be obvious that the best writing is not often what gets published or read. Fame, wealth, celebrity and scandal are far more important factors and I think that is a commentary on society as much as it is on the literary industry. I'm always interested in learning about authors' writing process. Did you have this book plotted out before you started or did you just have the germ of an idea and go where it took you? I know exactly where this book originated, but I have no idea how it developed from there. I was in a diner in Pratt, Kansas, and for some reason ordered a Reuben sandwich. While waiting for my order, I began reading a Spanish novel that had recently been translated into English. When the Rueben arrived, it was horrible. I got home that night I wrote the sentence, “Maybe it was the SPAM Reuben sandwich” into a new writing file and below that sentence wrote the following: This is what I know about this work. The male narrator serves the SPAM Reuben to a woman who is not impressed. I think the book has something to do with the translation of a novel from Spanish to English. IThe book says this is your first novel. You don't happen to have a stack of manuscripts in your closet, do you? Are you working on any thing new? I have been writing off and on for about 25 years (mainly off) and have two old novels, written in the late eighties and early nineties, stacked in my closet. One of those is worthless, but the other one could be rejuvenated through a total rewrite – I like the concept and the opening couple of chapters. The remainder is no good. I am in various stages of being barely started on four or five other projects. I have to decide which one makes the most sense to pursue at this time. They are all far more developed than Only Milo was (obviously) so the writing process will be different. In most cases, these works all have definite beginnings and endings, and I need to write the remaining 90%. I hope that process works. As I stated earlier, that is not how Only Milo was created. I also have some ideas for a follow-up for Only Milo, but I am going to take that route only if the creative process pushes me there. Can you tell me a little bit about what it was like to get published? That process is still evolving. I really enjoyed the accomplishment of writing a book I thought was interesting, unique and fun to read. I also enjoyed having the published work in my hands. I tend to be quite private and introverted in most ways, so I am not sure about everything else that follows – the readings and signings and other promotional activities. My primary joy was in writing and publishing the book. I had no idea I would get something published before retiring from my teaching job, so that has also been a factor. I planned on finally getting serious about writing in another year or so. Now that I already have a book published, that process will also be evolving. Who are your favorite authors? What's on your nightstand right now? 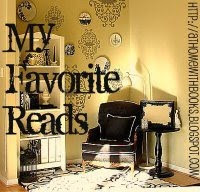 I have three favorite authors and have read everything they have ever published. Ironically, all three have new books coming out this fall, so you know what is (and will be) on my nightstand. Richard Russo’s book, That Old Cape Magic, just came in the mail this week, so I hope to start on it this weekend. Rick is an acquaintance from many years ago and Nobody’s Fool is one of my favorite books. John Irving and Anne Tyler are my other two favorites, and I have pre-ordered both of their new novels. My all-time favorite book is The Tin Drum by Gunter Grass. I see that you've lived in the west and the east but keep coming back to the midwest. What keeps bringing you back? It feels like home. I grew up in Iowa on a farm seven miles from the closest small town, and that experience shaped my life. I own an acreage in Iowa where I will move when I retire from my teaching job in the next year or so. As a parent, grandparent, and professor, when do you find time to write? Do you have set hours to write? I have never been able to be a “regular” writer – I have let a busy life get in the way. I have always assumed that was a major reason why I was not successful in the past. 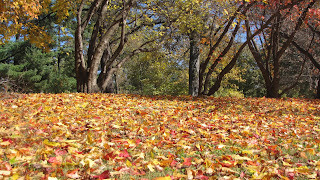 It was also part of the reason I moved to Kansas in 2006 – I was hopeful I could start new habits and write on a regular basis in preparation for my retirement plans to be a writer. That didn’t happen. Instead, from June 2006 to Dec 2008, I did a bit of writing on two of the other projects I have on the back burner. In early January 2009, Only Milo started pouring out of me and it was primarily written in three separate “writing frenzies” that took place in January, March and June of 2009, and those form most of what turned out to be Parts 1, 2 and 3 in the book. My conclusion is there is no one right way to go about it. 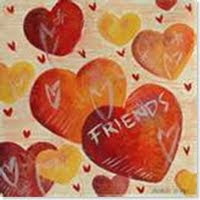 I really admire friends who write almost every day, but so far, I have not been able to do that. I hope to in retirement, but who knows? Thanks, Barry! Stayed tuned for your chance to receive an autographed copy of "Only Milo!" For my review of "Only Milo" click here. Milo is, literally, a closet writer, a man with a stack of unpublished manuscripts neatly stacked in his closet. He has just turned 62 and is finally eligible for Social Security which will allow him to give up his job delivering the Thrifty Nickel want ads. When he takes Margaret on a date, he has her read one of his manuscripts. Milo has used some Spanish in the manuscript and it's this that catches Margaret's attention. She's just discovered a Mexican author and is keen to have his works translated. She's sure he's the next big thing in the publishing industry and Milo is more than happy to have the work. The problem is that the novel is terrible. Since Margaret has no idea what the book is about, Milo decides to entirely rewrite it using one of his own manuscripts. And the book is an enormous success. So successful that the Mexican "author," who is perfectly fine with the whole plan, appears on Oprah. Where he almost spills the beans about the ghost writing. Which does not please Milo at all, because Milo is already hard a work rewriting the Mexican's next novel. Milo has got to take matters into his own hands. "Maybe it was the SPAM Reuben sandwich." "If we ate quickly we could catch the "early bird" matinee at the Rialto. $3 a ticket. Maybe it was the TV tables." How's that for a first date? This is definitely the most unique book I have read in a very long time. In fact, I have never seen anything written in the same way. It's a quick read, made much quicker by the fact that I just could not put it down. It's a dark comedy, emphasis on the comedy. Smith has stripped the story down to the essentials and it's a refreshing change. I kept wanting to read passages to the hubby, but I knew almost from the start that I wanted him to read the book as well. It's next up on his tbr stack. When he's done with it, it's going to make the rounds of my family. It's a book that I'm sure everyone from my 17-year-old son to my father might enjoy. Tomorrow, I'll be posting an interview with Barry Smith and posting a giveaway for your chance to win an autographed copy of "Only Milo." hour before I gave up. But that still means that I only slept for two hours in the 24 hour period. I was so happy I had gotten snacks. Even though I don't normally snack while I read, it was a great help to keep me going. Now if my family would just have stopped laughing at me and calling me a nerd, that would have helped! been a graphic novel, I could not have stayed awake and I could not have finished it. Two hundred + pages goes much more quickly when there are a lot of drawings and very little writing on each page! Two minutes ago, I thought I'd start another book, but now that I've stopped reading, I think I may have stopped reading! something not in my original stack for my next book but I'm sticking with The Imposter's Daughter because I think it might be the only way I'll be able to stay awake; it's so different...and bright, and I need bright at this point! Mini-challenges completed: none--I was having a hard enough time getting to as much reading as I wanted to. Again...next time! I had so hoped to be able to report that by 15 hours in, I had finished 3 books or more. I no sooner posted the last update than I had to leave to pick Miss H back up from shopping, then everyone needed to be fed (mind you I have teenagers and a 21-yr-old that should be able to fend for themselves), then hubby came home and wanted to talk to me while he watched football games. C'mon people, let me read already, will ya? can't wait to review it). I'm still working on The Unnatural History of Cypress Parish and really enjoying it. I found Elise Blackwell through Emily St. John Mandel (author of Last Night in Montreal) on twitter. Elise and I had talked but I didn't even realize at first that she was an author. Then I finally got her book from the library but just hadn't been able to work it in yet. Finally, finally this morning I admitted to myself that, yes, I was going to take the plunge and commit to reading for 24 hours straight. This is only working because my husband is going to be out of town for part of the day so will not be pestering me to go do something else. I have this lovely stack of books that I had planned to take a picture of but Miss H has my camera right now so a list will just have to do for me. If I'm really reading like a maniac and finish all of these, I will have read three library books, next months selection for my face to face book club, three books I need to review and one challenge book (which just happens to tie into the World Series perfectly). I have my snacks ready, the coffee maker set to go off early and lunch already made for the kids. Thanks to all of your great tips, I think I'm ready. We'll see what I think when the alarm goes off in the morning! Published October 2008 by iUniverse Inc.
Mary is in debt up to her eyes, has a 3-yr-old daughter and her boyfriend has just admitted to infidelity. When the 1989 San Francisco earthquake hits, it starts Mary on a new path to try to put her life in order. She gives up alcohol and cigarettes, begins to put her finanaces in order and begins a job search. She also makes contact with her old boss, Dan, and soon the two are in a relationship. Mary's daughter, Rachel, loves Dan and he offers Mary everything she's been looking for in a man. The problem is that Dan, a criminal attorney, seems to have a lot of legal problems of his own and a lot of shady associates. Despite all of this, Mary and Dan move in together and even get married (well, sort of). Dan also has an interesting family and a past that Mary can't help digging into, unearthing family secrets along the way. Family plots doesn't just refer to the cemetary plot that Dan's parents are so fond of. You'll notice that on the front of this book, there's a gold medallion, the kind used to indicate an award has been given to the book. 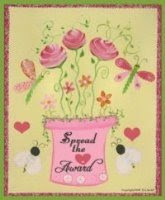 Ms. Kavanaugh herself, in a preview to the type of wit you will find in the book, has added this award. It says "Awarded Sixteen Rejections from Prominent NYC Publishers 2008." "Family Plots" is autobiographical and Ms. Kavanaugh pulls no punches, not even when that punch will land squarely on her own jaw. Periodically I would think to myself, "This is too much. No way does this much go wrong in one person's life." Then I'd remember that, in fact, it had. This book is equal parts love story and suspense novel. Ms. Kavanaugh's own disjointed family life growing up convinced her that the most important thing she needed as an adult was a stable family home life. Apparently that meant she was willing to put up with someone that was clearly committing criminal acts, who lied to her repeatedly and who was adamant that things be done his way. I had a hard time believing that any woman would put up with Dan; clearly there was a side to him that made it all worth while, but I didn't see enough of it in this book to make me understand. I did get a kick out of the things that clearly showed the age difference between Mary and Dan. Dan, for example, still had a stereo system in the early 1990's that had an 8-track player and he loved Neil Diamond and ABBA. Nevertheless, as I read on, I became fond of the characters and cheered for Mary as she became more and more the person that she had set out to become. And I could relate to much of what she went through (none of the stuff with Dan's financial life, thank heavens!). When she's still raising Rachel by herself and Rachel has a complete meltdown, I could completely empathize with Mary's frustration. Mary's relationships with her own family, and Dan's, are relationships that all of us can understand and relate to. Although, I'm very glad I didn't have these actual people as my relatives! 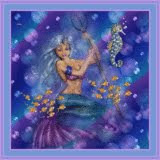 For another review, see Kay's review at Kay's Bookshelf. And to learn more about the book and what Mary's up to now, head over to her site at My Dream Is Dead, BUT I'M NOT. Thanks to Dorothy at Pump Up Your Book Promotion for including me in the book tour for "Family Plots." Jack Lambert is the son of divorced college professors, a sometimes musician, and the family black sheep. When his brother Steven stops by Jack's place on his way to his mother's Maine cottage, he becomes very concerned about Jack. When he voices his concerns to his mother, she is initially unwilling to accept that Steven believes that Jack is addicted to heroin. But when she starts to put things together and then talks to Jack's dad, Wendall, she decides the family needs to take action. With her elderly parents staying with her, Julia decides that what Jack needs is a family intervention, so she talks Wendall into bringing Jack to Maine. When they arrive, it's apparent to both Steven and Wendall that Jack is in bad shape; Julia is slower to realize what is happening. But when Jack decides to take the family boat out on the cove, unlighted and at night and has to be rescued, the police become involved and Jack's addiction spirals out of control. This is the story of one family's struggle with addiction. It is heart wrenching in places and clearly Robinson knows what she is talking about. If you are a parent, this book will scare you. Although, to be honest, I think that Wendall and Julia did not necessarily handle Jack in the way that most parents would. They were so quick to write off the trouble that Jack got into as just being the way Jack is, despite evidence that he was slipping into drug addiction. "Julia wanted her parents here - she loved them - but their presence altered her gravity. She had to struggle to stay upright. " "What she felt when her parents were here was something large and unsayable, confusing, nearly unbearable. Affection, anxiety, resentment..."
"When they were here, the house seemed small and ill equipped, the doors put on backward, the light switches unconnected, a troubling dreamscape where nothing was right." I immediately had a sense of the relationship Julia had with her parents; Robinson was equally adept at portraying all of the relationships. Where this book fell flat for me was the pacing and Robinson's tendency to repeat things or drag things out more than I felt was necessary. I found myself skimming over passages and even pages. But ultimately, this is such a strong story of addiction and it's effects on families, that I was glad that I read it. Thanks to Gayle at Everyday I Write The Book for bringing this book to the book club. For the club's discussion of the book, please click here. In what may be a first, my Friday Favorite this time was never made into a movie. My choice this week is James Michener's Chesapeake, a novel that spans 400 years, making a movie adaptation all but impossible. Complicating matters even more would be the fact that there are no people in a good part of the book. I've seen movies done from the point of view of a cat or a dog, but I'm guessing that filmmakers have really shied away from trying to get the point of view of Canadian geese down on film. The book is entirely set in an area scarely more than 10 miles square, in and around the Chesapeake Bay in Maryland. It opens before the Europeans discovered the area then follows their arrival and the settling of the land right up until the time the book was written (it was published in 1986). About 10 years ago, I discovered that my husbands' ancestors had settled very near this area and was so excited to already have a picture in my head of what the land must have been like when they first arrived. Michener is the master of combining research and story; twenty years after reading the book, I still remember what this book said about the migratory patterns of the geese and how they are able to navigate their way. At almost 1100 pages, this was by far and away one of the longest books I had read up until this point in my life, but I don't ever remember feeling as though it was an insurmountable obstacle. In fact, I enjoyed it so much, I later picked up a couple more Michener novels. Michener's first novel was Tales of the South Pacific, which was made into the Broadway musical and movie "South Pacific" and which won the Pulitzer Prize in 1948. In July 1995, American photojournalist, Gray Banick, disappeared in the Bosnian war zone. The last person who knew him, his intrepreter, Emil, thought that he was also the last person to see him alive. Two years later, though, Emil has begun to wonder if Gray is still alive. He determines to search for proof of Gray's death or his survival. To help him, he recruits two other people who loved Gray: Jack MacKenzie, Gray's mentor and friend, and Lian Jiang, a former lover who Emil knows Gray was still deeply in love with. Despite the war being over, nothing is easy yet in and around Sarajevo and with Emil, Jack and Lian all battling their own demons, the job they are undertaking is painful. Emil is struggling with the slaughter of his family, a cousin who is severely disabled and only wants to die, and a woman who wants to love him although he is has not even up the idea that the fiancee who was carried off by the Serbs might still be alive. Jack is struggling with the aftereffects of gunshot wounds to his legs, a raging case of alcoholism, an ex-wife who left him when he refused to stay home and a daughter who despises him. And Lian, a Chinese-American, is struggling with a marriage she is not happy in and unresolved feelings about Gray, whom she betrayed. This sounds like a lot for any author to throw into a story and this is Malott's first novel. But it never seems like too much. Given the circumstances of all these three characters, all of these things seem entirely natural. "She lies in the small bed the same way she did as a child, her arms crossed over her chest and the arches of her feet pressed together. It's the position of a corpse, and she once thought it would fool the ghosts into believing she was already dead." Malott has written a very compelling, very real novel. I was immediately drawn into the book wondering first what had happened between Lian and Gray that would cause them to separate and wondering what had happened to Emil's family. Malott does travel back and form in time and this sometimes happened so quickly that I got confused and had to reread passages to put them back into the correct time sequence. The horrors of the Bosnian war and told without whitewash and I learned a lot about what happened during this time. Interestingly, the book frequently talks about the inability or unwillingness of the UN troops to help the Bosnians, a topic that my son and I had just discussed in a more general context right before I started to read the book. "It's either that or go stir-crazy...And when someone can kill you at any moment, it doesn't make any kind of sense to worry about your health. Then there's the stench that comes with war. Dead bodies, blood, sh*^. A cigarette deadens your sense of smell." I truly cared what would happen to each of these characters and continued to hold on to the hope that they would find Gray, even though there seemed to be no real hope that he could have survived, let alone that they would find any proof of it. This is book that's not for everyone. The squimish should avoid it and anyone who prefers a book where everyone lives happily ever after. This is a story that reads like real life. George Pemberton, partner in a lumber company, has returned to the North Carolina mountains with his bride Serena. As soon as they get off the train they are confronted by the father of George's teen-aged and pregnant former mistress. When the father pulls a knife on George, Serena encourages to George to fight back and George kills the father leaving the girl to tend for herself. George is by no means an easy man; he is tough on his help and quick to make examples of those who make mistakes. Serena, orphaned daughter of a lumbar family, steps right up with him, eager to show that she is every bit his equal. Together they kill or do away with anyone who's in their way. But when Serena learns that she will never have a child, she determines that George's son and former mistress must die and the pair are soon running for their lives. I'm just going to say it up front--I loved this book. Rash's writing is just incredible; the mountains come alive and the story is every bit as character driven as it is plot driven. This one is almost gothic--terrible things just keep happening. These are not characters you know (unless you happen to live in the backwoods of North Carolina) but they feel so true to the time and place. Rash includes in his cast of characters a blind hag who delivers prophesies, a crazy preacher who warns his crew of impending doom, and the almost stereotypical widow woman who helps the young mother. Serena is every bit as plotting and evil as Lady MacBeth. In the beginning, I was able to feel some empathy for her. She's an orphan and she's deeply in love with her husband. But this is one cold woman. As the book develops, more and more of her character emerges and soon you realize that this lady is capable of anything. There is a wonderful crew that appears throughout the book. Rash uses their discussions amongst themselves as a way to explore moral issues and to explain things that have happened. Their conversations were one of my favorite parts of this book. 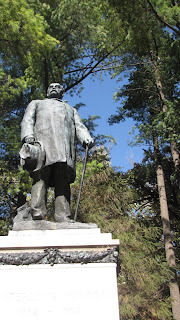 In their rush to expand their timber empire, the Pembertons are in a battle against time as they try to fight off the people trying to buy up the land around them for what is now the Great Smoky Mountain National Park. My timing with this book could not have been better since I had just watched the Ken Burns' series about the National Park series. It made reading about the battle between the people that lived on these lands, the people that wanted the natural resources and the people that wanted to preserve the land that much more interesting. 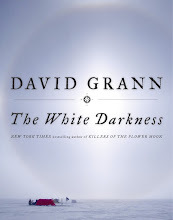 Like The White Tiger that I reviewed earlier this week, this is not a book for everyone. It's a very heavy read. I listened to this one and it was well-narrated (with the proviso that it's just really difficult for a man to get a woman's voice to sound right). I listen to books while I work and both nights that I came home without having finished this, I spent the evening wishing I would have brought the CDs home. In recent weeks you may have noticed that I've been listening to a lot of M. C. Beaton's Hamish MacBeth mysteries. Beaton was recommended to me first by my aunt and uncle and I jotted down both the MacBeth books and Beaton's Agatha Raisin books. But I never got around to actually picking up any of them. Then when I started to blog, I noticed the books on other people's blogs. Still I didn't get any of the books picked up until one day when I was in the library and noticed Death of a Village: A Hamish MacBeth Mystery on CD. And I thought that was a great way to give Beaton a chance. And I liked it and it was the perfect kind of book to listen to while working because the stories aren't long, not are they overly complicated. So the last time I was at the library, I picked up four more Beaton books, two of which I've listened to in the past week, including my first Agatha Raisin books. As much as I enjoyed Death of a Village, I didn't really appreciate Beaton until I listened to Death Of A Cad and Death Of A Dreamer. In both of these books, there is only one mystery to be solved and which give Beaton longer to develop the story. There are almost no jump-out-and-scare-your-pants-off moments in Beaton and very little in the way of graphic violence or gore. They're called "cozy" mysteries for a reason. You don't have to read trying to make sure you don't miss the clues. It's not a game to see if you can solve the mystery before MacBeth does. poor guy has a lot of trouble with women. It's not that he can't attract them; he's always balancing at least a couple of them. It's just that he's a lot better at solving mysteries than he is at romancing the ladies. And he's so content in the little village of Lochdubh, that he's turned down promotions. Which doesn't necessarily impress the ladies. That and his habit of spoiling his pets. I suppose it would be a good idea to read these books in order; I haven't and there are references in the books to previous interactions between characters that I don't get. But I've listened to enough of them know to know all about Hamish's relationships with Elspeth Grant and Priscilla Halburton, his friendship with a fellow police officer who is more than a little found of the drink and his problems with his immediate superior who tries to keep MacBeth as far away from cases as he can and steals the limelight when the cases are solved. Honestly, there are so many great characters in this village, I'm surprised this hasn't been made into a television series. I think I've just about exhausted the library's supply of Beaton on CD. When that happens, I'll certainly start picking the books up and reading them the old-fashioned way. Balram Halwai, the white tiger, of the title, is writing a confession of sorts in a series of seven letters to the Chinese premier. The premier is heading to Bangalore, India on a fact finding mission and Balram takes it upon himself to tell the premier all about Bangalore and his own success. Balram was born in poverty, the son of a rickshaw driver. Because the government is not paying the school teachers, his teacher absconds with all of the funds intended for the students and does very little teaching. So Balram spends only a few years in school before he heads off to earn a living. Eventually he works his way up to being a driver for a family of businessmen. In his letters to the premier, Balram writes about life growing up, life as a driver, the politics of India and the class structure. And a crime he has committed that has allowed him to become the entrepreneur he is at the time of the letters. The picture Adiga paints of India is vivid - the reader can easily imagine the stench of the air pollution in the cities, the filth of the slums, the sounds of the traffic. Nothing is safe from Adiga's barbs - democracy is corrupt, business is hand-in-hand with politicians, employers and servants alike treat servants with contempt. At times this book is almost comical, at other times it is nothing short of a tragedy. Ethics are entirely missing in every character. You will not like Balram but I felt that he had done the best that he could under the circumstances of his life. I listened to this on CD and the gentleman who narrated it is Indian which really enhanced the experience for me. This book is not for everyone. It is not light, it is not fun. But I enjoyed it a lot. Thanks to Sarah Reidy and Pocket Books Blog Tours for including me in the blog tour for Yona Zeldis McDonough's latest book, "Breaking The Bank." Mia Saul is a recently divorced mother of ten-year-old Eden who has recently lost her job and has had to move to a less than desirable neighborhood in Brooklyn. It's a Murphy's Law kind of exsistence for Mia--it is can go wrong, it will. Her daughter is wrecking all kinds of havoc at school in her attempt to deal with her parents' divorce, her drug-dealing neighbor kills another neighbor's dog right in front of Eden and her relationship with her once close brother is frayed. Then one evening she stops by a local ATM machine to take out $100 for groceries--but the machine gives her $200 without deducting the extra money from her account. Feeling like something good as finally happened in her life, Mia says nothing and waits to see if there will be any kind of repercussion. When there's not, she tries the machine again...and again. And it seems like her luck as finally changed. She's finally able to provide for her daughter and to buy some of the things she needs. She even decides to start using some of the money to do good things for others. But even as she is dealing with the extra money and a possible new boyfriend, trouble seems to find Mia. Eden's dad starts to question Mia's ability as a mother, Mia's family confronts her, and suddenly the police are wanting to know where all of that money is coming from. Mia starts to wonder if someone, somewhere is trying to teach her a lesson about what is important and what isn't. Breaking the Bank is, at its core, chick-lit. And if you've been following my blog, you'll know that chick-lit is not my usual cup of tea, although I will throw one into the mix ever now and then as a kind of guilty pleasure. McDonough is certainly a gifted writer. On more than one occasion, I had to grab a dictionary to look up a word, something that rarely happens to me when reading this type of story. And she brings John Keats and his great love, Fanny Brawne right into the story. The relationship between Mia and Eden is so true to life. And Eden's behavior, in light of her parents' split, is very believable. Much less believable, for me, was Mia's reaction to her financial windfall. I had a hard time, to be honest, with the whole idea of an ATM that magically gives someone extra money every time she uses it but never to anyone else. And I found Mia's reaction to this really odd. Also, Mia's reaction to her family's interventions seemed unrealistic to me. Obviously she couldn't tell them anything about the machine but she never really stood up for herself; she just became confrontational. The story does build and there is a sense of tension as the reader tries to figure out how Mia is possibly going to get out of this. Which, let's face it, we know she will. Mia's relationship with her brother, mother and Eden's father are all resolved in a very satisfying way. And you will find yourself cheering for Mia as she struggles to raise her daughter and find her way. Gaby, at Starting Fresh, is a big fan of this book. Read her review here. For an interview with McDonough, visit Lori at Psychotic State. As anyone who is watching the NFL games today knows, October is Breast Cancer Awareness Month. All of those burly men are sporting gear to remind us, including pink on their shoes, gloves and hats. Unfortunately, with so much attention paid to that cause, the fact that October is also Domestic Violence Awareness Month seems to have gone unrecognized. I know that I wasn't aware of it until my friend Jo, at Diggin' Around, spoke about it in a recent post. This is a cause that is near and dear to Jo's heart as she was a victim of domestic violence. After I read her post, I commented that we needed to find a button to post on our blogs. By the next morning, Jo had made this one. As the mother of a teenage daughter, I know that she will need to be proactive about breast cancer. But without a family history, she probably has ten years before she really needs to be thinking about it. Domestic violence, on the other hand, is something that women as young as my daughter need to be educated about. Thanks to Jo, my daughter and I sat down today and had a wonderful discussion about protecting herself against domestic violence. If you feel that this is an important cause, I would encourage you to wear purple this month and to post this button to remind others about this very important cause. And please, please talk to the women (and men) in your family about how to protect themselves. This is so very embarrassing! One day I got an award, but I had a review to get posted, so I put off posting about the award. Then it happened again...and again. Then it got overwhelming. And I do not respond well to overwhelming...obviously! So here's what I'm going to do. I'm posting all of the awards I've gotten with an enormous thank you to everyone who bestowed them on me! 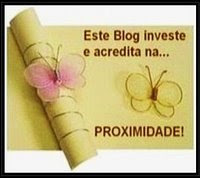 And please go visit these wonderful blogs! I've received the Superior Scribbler and Splash Awards from Al at Publish or Perish (Al is working on a book and is one of the wonderful people that works with the homeless). 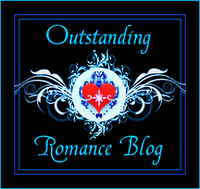 Michelle at The True Book Addict awards me with the Romance Award and Top Blog Commentator Award. From Jane at Reading, Writing, Working and Playing, I received the Let's Be Friends Award (Jane is the author of Intimations of Austen, a book she was kind enough to send me and which you will be able to read of review of soon). Deb at Book Magic also gave me the Top Blog Commentators Award. Heather at Gofita's Pages and Missy at Missy's Book Nook both gave me the Honest Scrap Award; Heather also gave me the Proximidade Award and Missy also gave me the Why Friends Are Like Books Award and the Dragon's Loyalty Award. Amy, at The House of Seven Tails, gave me the Let's Be Friends Award (Amy is also one of my new football loving friends of which I have found several recently!). 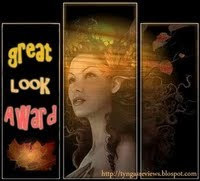 Laura, from Laura's Reviews, also awarded me the Let's Be Friends award as did Lisa from Book Blab. 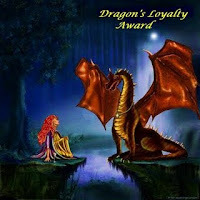 Finally, Michelle from Red Headed Book Child also awarded me with the Dragon's Loyalty Award. Thank you, thank you one and all! I promise to do a better job keeping up in the future and I'm hoping to find time this week to get out and pass these awards along.